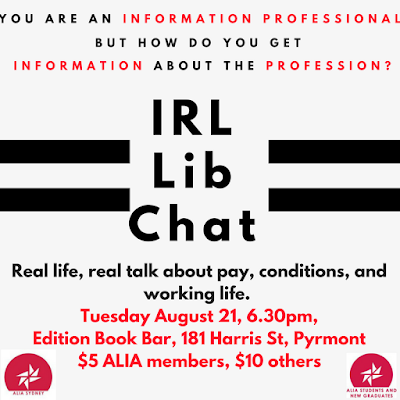 ALIA Sydney together with ALIA Students and New Grads would love you to join us in a social discussion on pay, conditions, and working life. 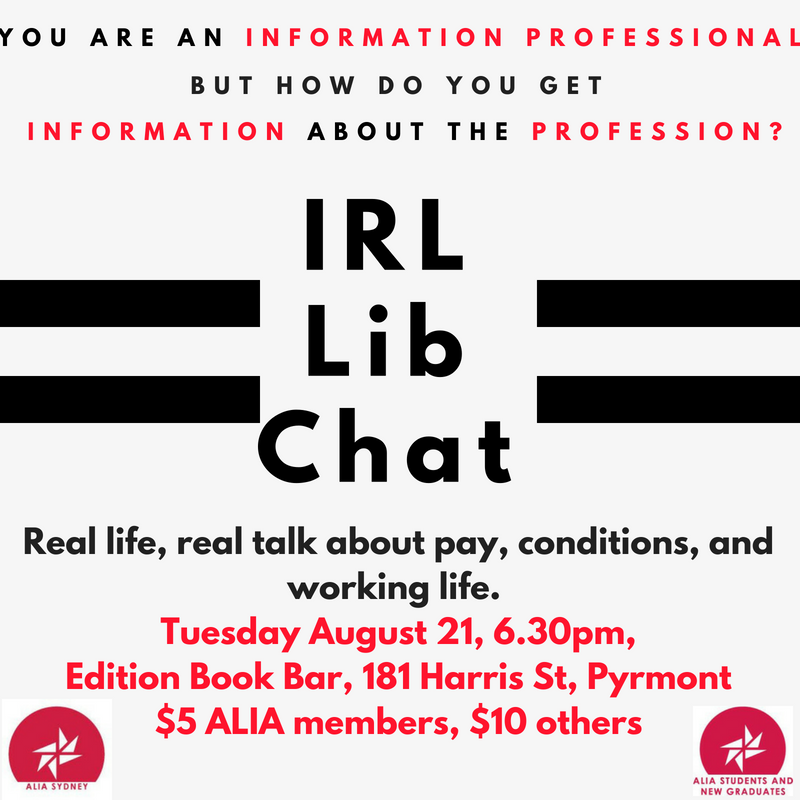 Over a few drinks we'll get real about contracts and awards, pay rates, and the realities of working in the LIS industry in Sydney. So that we can talk more freely, we ask that there be no social media generated on the night during the discussion. We hope you can make time to join us there. But even if you can't make it, you can still help to make this event a success by completing our survey and by sharing it with others in Sydney and NSW. This anonymous survey will help to form the talking points for the evening, and those attending #IRLLibChat will get the first look at the survey results. To preserve anonymity and the chance for some frank discussion (and some fun photos), please bring a disguise. Hosts will provide disguises for those unable to provide their own.